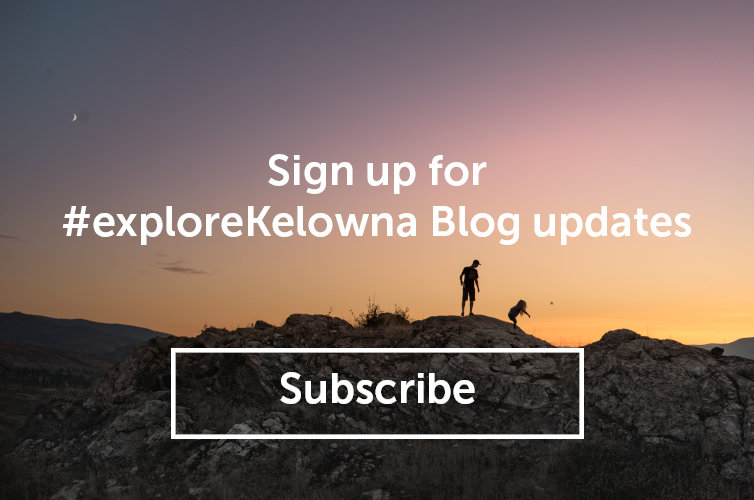 Already considered a great spot for both a relaxing getaway and to explore, Kelowna&apos;s food scene is also bustling with hip brunch spots, regionally-inspired restaurants and homemade products. With an emphasis on local ingredients and producers across many of the eateries, you can feel good about supporting the region’s local food scene when you eat out here. This local jammery was the first of its kind in the world and uses B.C. fruit to create its popular jams. During a stop here, visitors will find The Jammery&apos;s production facility, gift shop and a restaurant where you can get a delicious breakfast or lunch. Try the all you can eat waffles (blueberry waffles are also available), which are topped with either strawberry or four berry sauce and whipped cream. Then, pick up some traditional, sweet and savoury or peppered jam from the store attached to the restaurant on your way out. For a look at what you might be getting yourself into, watch the episode of Food Network&apos;s You Gotta Eat Here! when host John Catucci visited The Jammery. Assorted variety of bannock from Kekuli Cafe. Located on Westbank First Nation land, just a short drive outside of Kelowna, Kekuli Cafe and its bannock sandwiches, burgers and tacos are well worth a car trip. The Canadian-Aboriginal eatery makes fresh bannock every day, and pieces of the fry bread with inventive toppings are easy to eat on the go. Choose from tasty bannock topping flavours like Caramel Apple Spice, Saskatoon Cream, Reese&apos;s Peanut Butter and more. The brisket sandwich from Salted Brick. This downtown eatery is known for its charcuterie using local cheese and house-cured meats and its tasty selection of small plates. Salted Brick also has rotating sandwich options at lunch, and the brisket sandwich is a particularly delicious one. It features the restaurant&apos;s own house-cured brisket and is topped with mustard and cheddar cheese. With a 900-square-foot bar, micro is a small, cozy space that offers up big flavours. The tapas bar has a mix of snacks, small and large plates that are perfect for sharing. The charcuterie board is no exception, featuring a range of country style terrine, pork lonza, duck prosciutto and smoked salmon pâté. Be sure to pair the board with Micro&apos;s artisan craft beer flight or one of their barrel-aged hi-balls. Cheddar and Back Bacon BOH Egger from The Bohemian Cafe & Catering Co.
Before it became The Bohemian Cafe, this brunch hot spot was the Bohemian Bread Co. So, it&apos;s not surprising that all the bread and bagels at this cafe are still baked fresh in-house every day. With that in mind, you&apos;d be remiss if you didn&apos;t try one of their BOH Eggers, which feature a scrambled and folded egg on top of a bagel, piece of toast or English muffin. The farm-to-table restaurant also has hand-crafted sausages and jam made by the owner&apos;s parents. Chicken + Pancake from Krafty Kitchen + Bar. Sundays at Krafty Kitchen + Bar mean one thing: hip-hop brunch. From 10:30 a.m. to 2:30 p.m., listen to great beats while you eat farm-to-table dishes named after some of hip-hop&apos;s greatest (the Straight Outta Compton Burger is just one of the available options). The Chicken + Pancake is no slouch itself though, substituting a waffle for a cheddar pancake with fried chicken and an apple and cabbage slaw that will have your taste buds dancing along to the music. The double chocolate mashed potato brioche from RauDZ. At RauDZ, you can expect a farm-to-table experience with regionally-inspired cuisine made with many ingredients from local suppliers. No matter what you eat, be sure to leave room for dessert. The double chocolate mashed potato brioche, complete with raspberry sorbet, chocolate sauce and topped with a fun spiral, will add panache to the end of your meal. For some extra sugar, your receipt comes with a house-made lollipop. Carmelis Goat Cheese Artisan in Kelowna, BC. This farm has been using goat milk to make cheeses ranging from feta to gouda for almost 15 years. But that&apos;s not all it makes — stop by the dairy farm&apos;s cheese shop to try goat milk gelato, which has less fat than regular ice cream does not use preservatives. Gelato flavours like salted caramel, chocolate hazelnut, mango and cappuccino chocolate chip are great in a cone or in a container to eat at home later. Le Cassoulet from Bouchons Bistro. For more than a decade, Bouchons Bistro has been transporting Kelownians to Europe with its classic French dishes. The three-course chef&apos;s table of the week is well worth trying here, as well as Le Cassoulet, one of the French bistro&apos;s specialties. The traditional French dish nestles duck leg confit, sausage and a lamb chop on top of a bed of lingot bean ragout. Few dining experiences in Kelowna can top a seat overlooking the Quails’ Gate vineyard on the patio of the farm-to-table Old Vines Restaurant. Add a dish like the Yarrow Meadows Duck Breast to the mix and you have an experience that is pleasing to both the eye and palate. Along with Sunshine Farm carrots, pea shoots and onion ash, the dish comes with a suggested wine pairing of the 2013 Stewart Family reserve pinot noir. Article originally appeared in Avenue Calgary.